Many visitors of Abydos and in particular the Temple of Sety I and the Osirion, experience a special atmosphere and energies during their visit. These energies have both physical and psychological effects and can initiate personal processes in you that can bring you nearer to yourself. 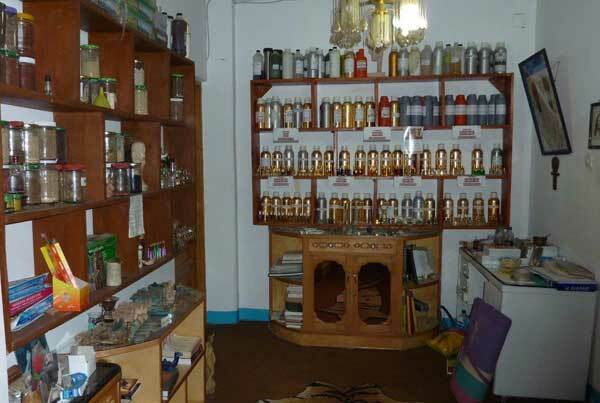 To support you in this process, a team is present in the House of Life that offers you next to personal talks a range of ancient Egyptian treatments like an ancient ritual, a cure with herbs, body massage, feet baths, sand healing and sound healing. These treatments are complementary to the special energies that surround Abydos. For an optimal effect of these treatments we advise a stay of at least seven days. The treatments of the ancient Egyptians were holistic, they were strongly committed to the condition of the total body. By a profound analysis of the effects of plants in their neighbourhood on humans and observing the behaviour of animals they acquired a lot of knowledge about nature that they also checked in their meditations. Thus they developed a great number of therapies. They were aware of the strong influence of the mind on the body and also had medications to bring mind and body in balance. In the course of hundreds of years Houses of Life appeared next to the various Temples in Egypt that that were based on these studies and offered remedies to the public. Thus the ancient Egyptians had gathered a lot of knowledge about medical herbs and various methods of healing. The work of healers was considered holy in that time because the priest and priestesses formed the bridge between humans and Gods and Goddesses. 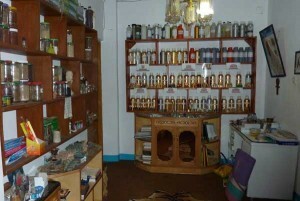 Also the pure etheric oils that we use with massages were seen as holy oils, because of their special qualities. Much of this old knowledge is recorded and can be found in scriptures and pictures in Temples and is personally handed over, but was really brought back to life by Omm Sety, who remembered many of these remedies and checked it with the ways of healing of the local population. You can also book your treatment or cure at the reception.